I feel like October went by SO quickly! At any rate, here were are! 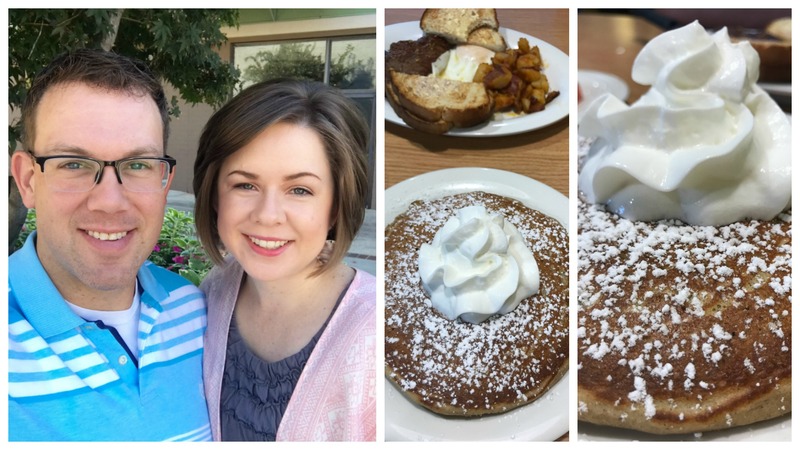 I’ve rounded up the highlights and a few other favorites from the month. Hope you enjoy! I grew up watching Homecoming Videos and Paul is a big fan of tight male harmony, so naturally we’re fans of the Gaither Vocal Band. This once in a lifetime event landed right here in Greenville and with my job perks I scored free tickets! 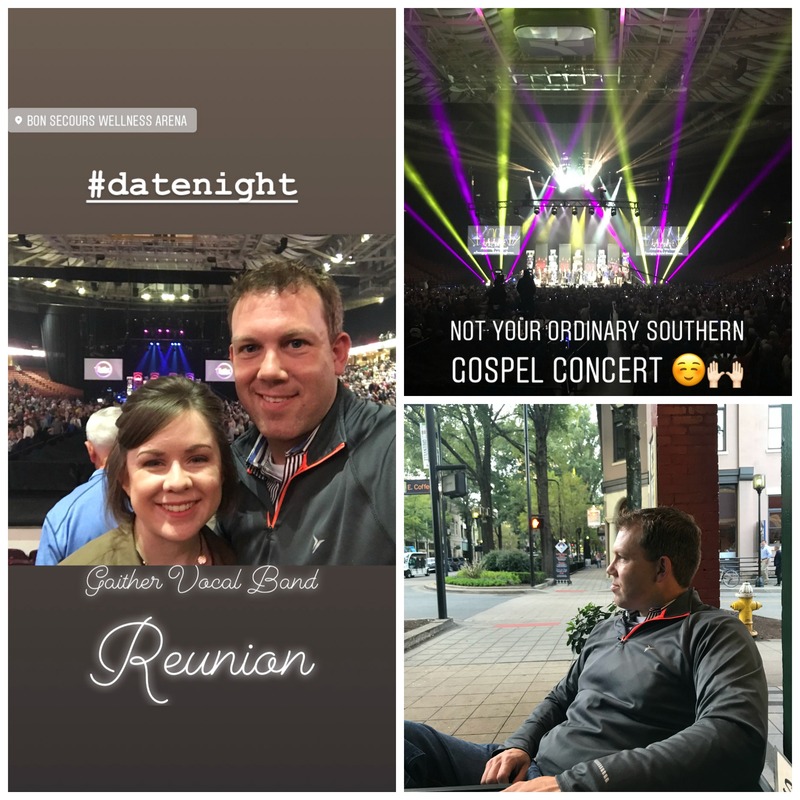 🙂 (I work part time for a Southern Gospel radio network) It was an incredible two-night event that will rank among the best concerts I’ve ever attended. On Friday night we left home an hour early and enjoyed the beautiful fall weather downtown! It was still pretty hot in October – and very humid. I was gifted two of these battery operated fans earlier this year (reviewed them here) but they are seriously one of our favorite things ever!! Sharing a bedroom can be interesting when one person is hot and the other is cold (#marriedlife) and we almost never want the ceiling fan on at the same time. These fans are amazing – they’re so quiet and run for at least two full nights without needing to be charged. I also like using mine in the bathroom while I’m getting ready! If you’re hot at night and need a quiet fan that gets the job done, do yourself a favor and grab one of these. #4 New From My Heart Friday Video Today! 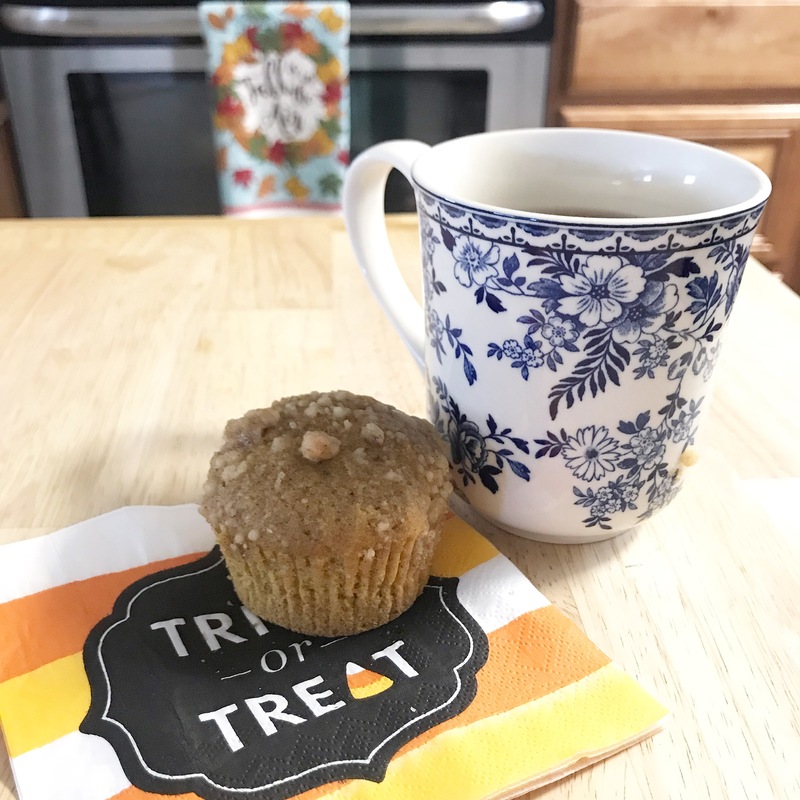 Next Post Halloween Treat Bags + Free Printable! I’m the “always cold” one in our marriage. My hubs can’t sleep without the ceiling fan on, but I’ve learned to adjust by adding another blanket to my side. Maybe he needs one of those fans! It is so hard to believe that October is already coming to a close! So glad that yours involved quality couple time, fun, celebration, music, and good food – what more could you want in a month? 🙂 Looking forward to watching your new From My Heart Friday video! xo! I have to have a fan in our master bedroom that is on all night but not blowing on me. I like the sound of fan at night. It’s like my own sound machine!